1) Four spawn eggs, such as Sonya Blade, Johnny Cage, Liu Kang, sorcerer Quan Chi. 2) Sonya Blade, Johnny Cage, Kitana, Kenshi now keep items in his hand (pistol, rifle, Kitana fan, Kenshi kendo). 3) Increased hp in some times! Now the usual battle between the fighters can lasts right up to 10-20 min! 4) Armor for all characters. 5) Added 2 types of weapons - Scorpion sword (very high damage + ignition effect), Sonya Blade pistol. There are many recipes. To help you find these recipes - take the diamond + redstone and go to the crafting table. There are all possible crafting recipes. 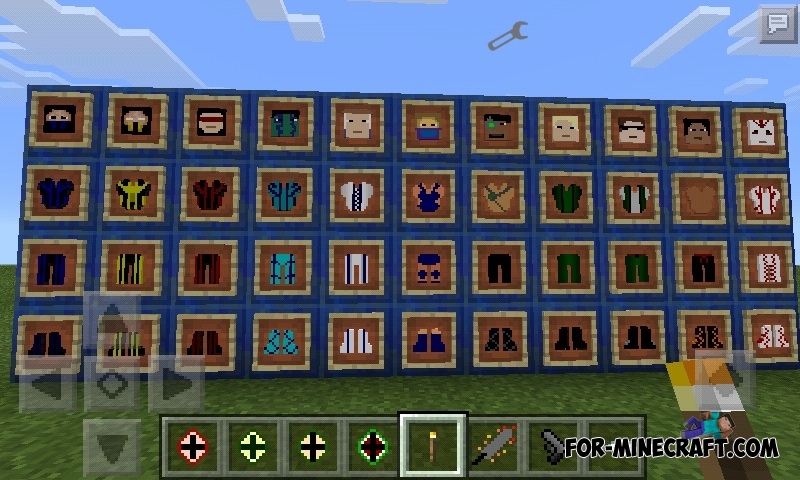 Swords and boots made by other things, take a stick and an iron ingot and you will see the other recipes. 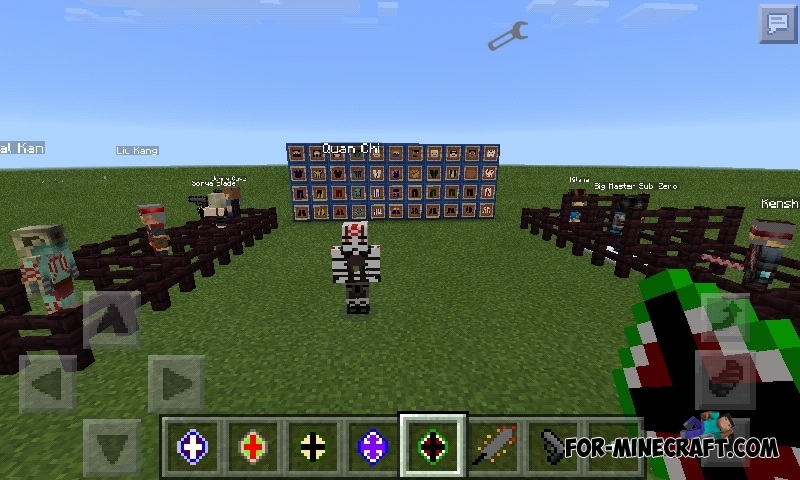 You want Mortal Kombat's mod for Minecraft PE 0.14.0? It has been created! Mod has 7 spawn eggs (Sub-Zero, Kotal Kahn, Raiden, Kitana, Kano and Kenshi.) and three types of weapons (Sub-Zero Ice blade, Kitana fan, Kenshi kendo). Each weapon has its own damage, but no effects. Almost all the characters will attack you, except Kitana, Kotal Kahn and Sub-Zero (of course, if you hit them, they will attack you). Kotal Kahn and Sub-Zero are attacking all the characters and enemy mobs. 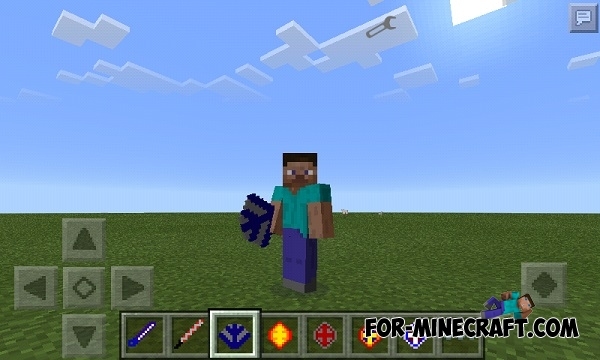 Weapons added into creative and survival modes (and crafting). There are also spawn eggs. Mortal Kombat X mod is very interesting and will give you a lot of fun, and you can arrange an epic battle. Have a good game!